Don’t avoid differing opinions. It’s not always comfortable… but listening to different viewpoints is what keeps us fresh and open to new ideas or even angles we haven’t thought of yet. I had the pleasure of interviewing Wendy Burk, CEO and Founder of Cadence Travel. Since 1977, travel has been the focus of Wendy’s career — she founded her full service travel company, Cadence, in 1995 as a Host Agency for corporate travel agents. Today, Cadence is an award-winning full service travel company with 50+ employees and almost 200 Independent Affiliates supporting $150 Million in travel sales through three divisions including Managed Business Travel, Meetings & Incentives and Host Agency. 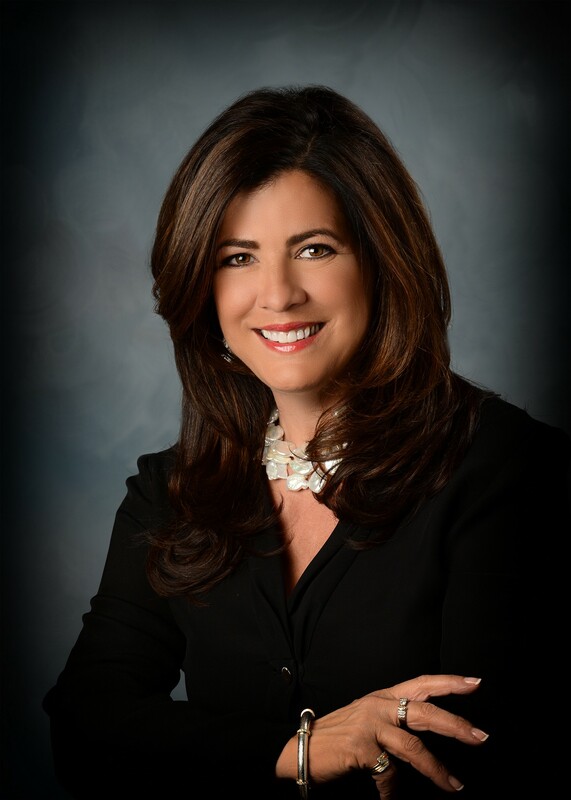 Wendy’s commitment to the travel community has allowed her to serve on industry boards like the Four Seasons Advisory Board and Ritz-Carlton Advisory Board, and has been an active member of Virtuoso since 1999. I’ve known travel was my calling since I was a little girl. My family would pack all the siblings and cousins in the car for road trips, or we’d take our annual winter breaks to Hawaii, and it was when I truly felt alive. When I was a teenager, I began researching careers in travel and found out that the University of Hawaii had a hospitality program. I left Michigan as soon as I graduated high school at 17 and found a legal guardian on Maui so I could get in state tuition. I am still connected with her to this day! Every crisis makes for the best opportunities. After 9/11, a few of our corporate clients were stranded with their colleagues. We were able to get them all back to where they needed to go immediately, and the colleagues, after experiencing our support and resources, turned into loyal customers. This actually doubled our corporate division at the time and created a newfound level of respect, trust and elevated loyalty. Mistakes are growth experiences that often cost us time and money… but they are the best education! The funniest was back when despite company growth, I was still running the office on my own. It was opening day of a big local event, and individually some of the advisors had asked for the afternoon off, to which I happily said yes. I didn’t consider just how much we had grown as a company until I realized that it was nearly impossible for me to single handedly handle 8 corporate phone lines, emails, faxes, ticketing, delivery of tickets — oh yes, they were still paper airline tickets at this point… Lesson learned, I hired people with different skill sets to mitigate my weakness. This was the start of us all being the most efficient and productive. In general, buying travel can be pretty transactional. All we really can offer as a travel company is the service we provide, like adding that personal touch, leveraging relationships, negotiating, etc. We take full responsibility for anything that impacts the traveler. For example, one of our advisors booked a client’s $78,000 family trip to Asia through a reputable all-inclusive tour operator, only to have that tour operator suddenly shut down less than week before departure. While we could have pointed blame where it was due, all we really cared about was getting that client to Asia! One of our travel planners stayed up until 2 a.m. several days in a row to rebook every individual component of the trip in the appropriate time zone, including guided tours, hotel stays, transfers and more. Our clients trust us to move mountains for them. We are constantly thinking of ways to improve our service levels to stay above our competition, especially when the travelers themselves are typically interacting with our travel technology, not our people. In our Managed Business Travel division, most of the travel interaction is done over an online booking tool that we help manage. To insert our customer service, we’ve incorporated more than 17 complimentary account management services that allow us to work hand in hand with an account’s travel managers, travelers and C-level executives. We also created a VIP Traveler Program to identify the top travelers of each account and add special touches to make their travel experience more enjoyable, like hotel upgrades, lounge passes, etc. In our Meetings + Incentive Travel division, we’ve created a Surprise & Delight program for attendees registering for an event through our online platform — for example, if we see their birthday is happening during the trip, we’ll note it and send a birthday card in the mail from our team or work with the hotel to do something special for them. Other travel management companies may not see these things as necessary, but after 20 years, we know how important those moments are in a genuine relationship. While women can be especially great listeners, don’t listen to the naysayers. Have the courage and confidence to receive input and not be discouraged. I look at it like a team is on a bus, and I need to find the right seat for each individual. We hired a consultant from Clifton StrengthsFinder to assess the top five strengths of each individual employee. We populated all of these strengths into a master chart for a high level look at what types of personalities existed within or organization. Through this we’ve been able to map out the ideal settings and processes for different types of employees so that they have satisfaction and fulfillment in their job, whether they are performing independently or interacting with others. Yes, indeed, we never really go at it alone, as mentors come from various places. Memories of my father’s sayings continue to stand out today as he had a wisdom and truth and no agenda. Among others, he would say, “All you have is your name. Be sure your reputation is one of integrity and honesty.” The most gratifying “help” has come from those who said, “No way, you can’t do this,” and taking this on as a personal and professional challenge. The 24 years behind me give me the best blessing, having had the opportunity to be fiscally responsible for employees by providing jobs, benefits, and a real relationship with them as they make careers at Cadence. Corporate Social Responsibility has been a pillar at Cadence since day one. We’ve had a dedicated annual holiday charity fundraising event for ten years in a row and in the past few years alone, our employees and travel planners have raised more than $40,000 for local charities. When Cadence turned 20 years old, we spent the whole year giving back through 20 different organized events, from soup kitchen outings to making blankets for nursing homes. Every year we donate $100 on behalf of every employee to a charity of their choice. Most recently, we began our partnership with ECPAT, which stands for “End Child Prostitution and Trafficking,” and further, have signed the Tourism Child-Protection Code of Conduct. Leveraging our network, from clients to travel partners, we will spend the upcoming years bringing awareness and education on human trafficking and exploitation. 1. Surround yourself with people you want to work with and invest in them — they are your asset. They are the ambassadors of your brand. When they love what they do, they are an inspiration to others. Our clients truly feel the way we radiate care for each traveler, and this creates trust from their company as a whole. Many of our best referrals have come from road warriors who moved from one company to another — they remembered the level of care from one of our individual travel agents and begged their new company to look into us. 2. Don’t pressure yourself to come up with all of the brilliant ideas. Surround yourself with smart, passionate people who love what they do and listen to their ideas. Be open. Some of the best ideas at Cadence have come from employees who wanted to make a difference on observations they had outside their own roles. Looking through a different lens has created such a positive impact. 3. Don’t avoid differing opinions. It’s not always comfortable… but listening to different viewpoints is what keeps us fresh and open to new ideas or even angles we haven’t thought of yet. 4. Don’t micromanage — learn to trust your team and empower them to execute. I love the saying, “Hire the best people and get out of their way!” Micromanaging may make you feel more secure in the short team, but it will only be seen as lack of trust. If you want to focus on minute details, use that focus as an opportunity to show gratitude and say thank you for everything they do, every step of the way. It’s not just about the money, it’s about knowing the value that people bring and being validated for the work they do to achieve the same goal. 5. Know that a problem is never about what it’s about. Dig deeper. Countless times, when listening to a colleague speak about an issue, I’ve realized that the core of what was bothering them was something else entirely. By connecting with people where they are and really listening to their view of the bigger picture, you’re able to understand them and the situation better. I would love to see travel be a catalyst for good in the world. It has the power to increase tolerance, respect and understanding for our global community. It opens our minds to things that we aren’t familiar with. It opens our hearts to know that we are all human. “Be a dolphin, not a shark.” When I first started my travel management company, my late brother gave me a dolphin sculpture to remind me of this. Even if the rest of the world is filled with sharks, there is no excuse to compromise your values. You have to live your truth. And for me, that meant to collaborate and connect with authenticity and sincerity and honesty. Our Instagram and Facebook handles are @cadencetravel.